PM Modi underscores importance of immediate action against terrorism by all concerned countries. 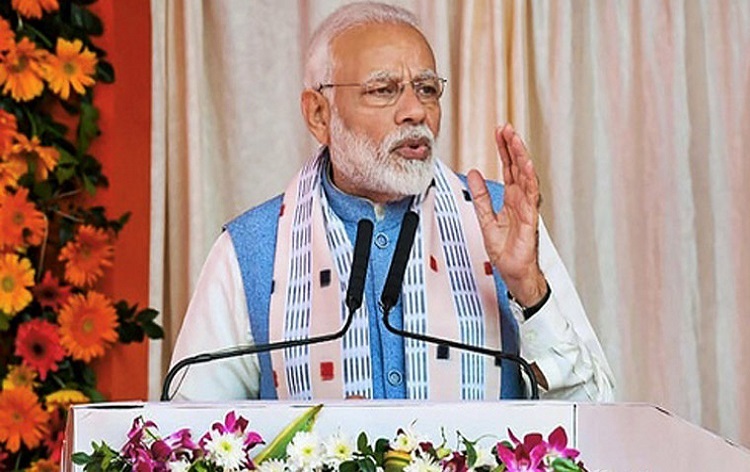 Prime Minister Narendra Modi has underscored the importance of immediate, demonstrable and irreversible action against terrorism by all concerned countries. In his telephonic conversation with Turkish President Recep Tayyip Erdogan yesterday, Mr Modi said, terrorism remains one of the gravest threats to global peace and security. An official release said, Mr Erdogan expressed condolences for the victims of recent terror attacks in India, and wished a speedy recovery to those injured. Mr Modi also spoke with Crown Prince of Abu Dhabi Sheikh Mohammed bin Zayed Al-Nahyan. Both leaders expressed happiness at the growing strength of all-round bilateral co-operation. They reiterated their commitment to further consolidate the comprehensive strategic partnership. The Prime Minister thanked the Crown Prince for the invitation extended to India for addressing the Organisation of Islamic Co-operation Foreign Ministers’ Council as a Guest of Honour in Abu Dhabi earlier this month. Minister of State for Foreign Affairs of Saudi Arabia, Adel bin Ahmed Al Jubeir called on Mr Modi in New Delhi yesterday. The Prime Minister thanked Saudi Arabia for expressing full solidarity with India in the fight against terrorism in all its forms and manifestations. It was agreed that both sides should work together for verifiable and credible steps against all terrorists without any discrimination. Mr Al Jubeir also met External Affairs Minister Sushma Swaraj and discussed the entire gamut of bilateral relations. Mrs Swaraj reiterated that an immediate action to dismantle terror infrastructure is essential. It was also agreed to set up the Strategic Partnership Council at the earliest. Saudi Arabia’s decision to increase the Hajj Quota to 2 lakh and Royal pardon to 850 Indian Prisoners was appreciated by India. Previous articleOver 7 lakh 1st time voters to cast their vote in General Election. Next articleBJP slams Congress President Rahul Gandhi for calling JeM Chief ‘Masood Azhar Ji’.